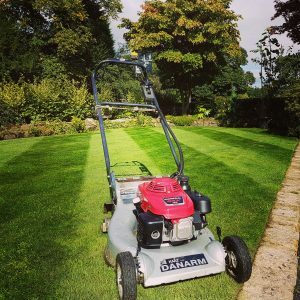 We love our roller mowers, and our clients love their striped lawns. Grass cutting is a chore to many but to us it is a series of operations that are done in the right sequence to create a beautiful finish. We use professional machinery and hand equipment to help us do an efficient and thorough job, and always clean up properly afterwards. 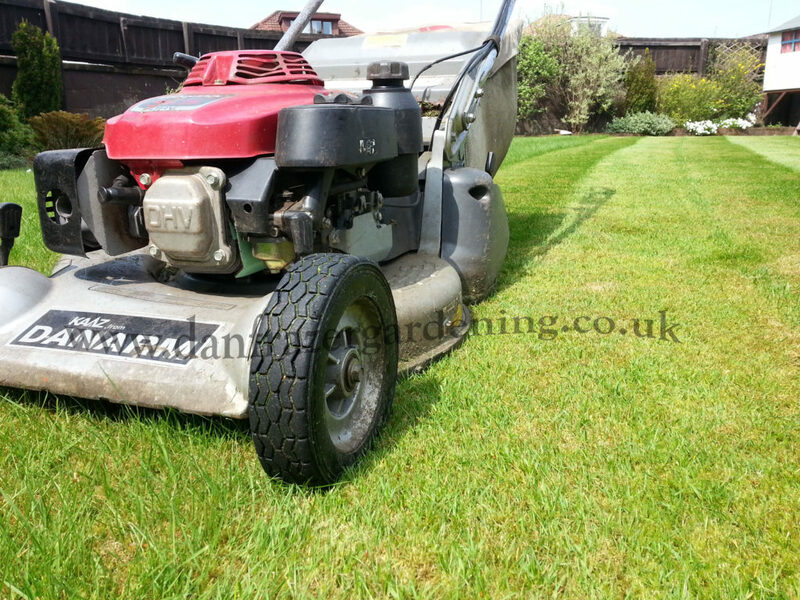 Standard lawn cutting services include edging to ensure the lawn has a clean and crisp appearance. All cuttings from this are cleared up and not left lying in unsightly piles on paths or borders. Where mulch cuts are of benefit we will carry this out using the correct mower. Mulching not only feeds a lawn but helps provide a bit of protection for weak areas of lawn and can be more cost-effective on large areas. We do like to mulch at the right time of year due to the benefits it provides. 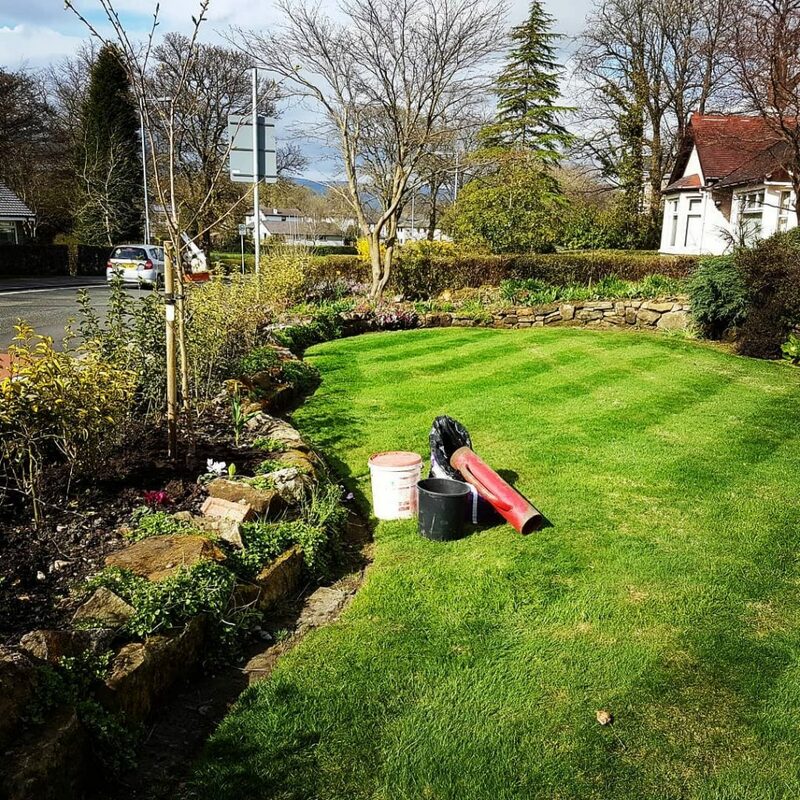 We carry out domestic grass cutting in most of East Dunbartonshire including Lenzie, Kirkintilloch, Bearsden, Milngavie, Torrance, Bishopbriggs, plus Kilsyth, Auchinloch, Robroyston etc. Grass cutting as part of contract ground maintenance will include a far wider area. 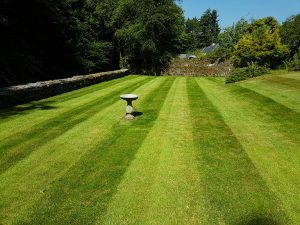 our lawn cutting service is wholly reliable and we will be there on the day we have set come rain or shine. If there is heavy snow we can reschedule, or if the lawn is under pools of water. 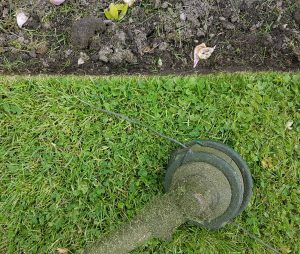 Damp and soft lawns can still be cut, possibly using a brushcutter, which leaves an acceptable finish.